The purpose of the study was to estimate the burden to families of raising a child with attention-deficit/hyperactivity disorder (ADHD). Data were drawn from a longitudinal sample recruited in western Pennsylvania. When participants were between 14 and 17 years old, parents completed a questionnaire assessing economic burden over the course of raising their children. Domains of economic burden to families included direct costs related to child’s behaviors (excluding treatment expenses) and indirect costs related to caregiver strain. 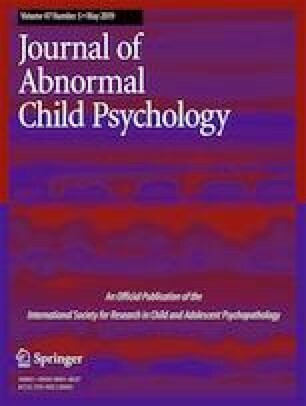 On average, participants with ADHD incurred a total economic burden over the course of child development that was more than five times greater compared to youths without ADHD (ADHD = $15,036 per child, Control = $2,848 per child), and this difference remained significant after controlling for intellectual functioning, oppositional defiant symptoms, or conduct problems. Parents of participants with ADHD were more likely to have changed their job responsibilities or been fired and reported lower work efficiency. The current evaluation of economic burden to individual families extends previous estimates of annual societal cost of illness (COI) of ADHD. Our rough annual estimate of COI for ADHD in children and adolescents is $124.5 billion (2017 US Dollars). Findings underscore the need for interventions to reduce the costly dysfunctional outcomes in families of children with ADHD. The online version of this article ( https://doi.org/10.1007/s10802-019-00518-5) contains supplementary material, which is available to authorized users. This research was supported by a grant from the National Institute of Mental Health Grant (R01-MH-53554). Additional support was provided by grants from the National Institute of Mental Health (MH069614, MH069434, MH092466, MH065899, MH62988), the Institute of Education Sciences (R324J060024, LO30000665A, R324B060045), the National Institute of Alcohol Abuse and Alcoholism (AA11873), and the National Institute on Drug Abuse (DA12414, DA12986, T32DA039772). Desmarais, B. A., & Harden, J. J. (2013). Replication data for: Testing for zero-inflation in count models: Bias correction for the Vuong Test (Publication no. hdl/1902.1/21966). Retrieved March 29, 2017 from Harvard Dataverse http://hdl.handle.net/1902.1/21966. Jackman, S. (2008). pscl: classes and methods for R developed in the Political Science Computational Laboratory: Stanford University. Department of Political Science, Stanford University, Stanford, California. R package version 0.95. Retrieved March 29, 2017, URL http://CRAN.R-project.org/package=pscl. R Core Team (2016). R: A language and environment for statistical computing. Vienna: R Foundation for Statistical Computing. URL https://www.R-project.org/. U.S. Census Bureau (2017). Current Population Survey, 2016. Retrieved October 15, 2017 from http://www.bls.gov/. U.S. Department of Labor Bureau of Labor Statistics (2016) National Occupational Employment and Wage Estimates United States, 2015. Retrieved March 29, 2017 from https://www.bls.gov/oes/2015/may/oes_nat.htm#00-0000.